Coffee Press Sweater hand knit and hand dyed by Debra Hunter. Debra Hunter of Studio H has recently completed an order of Coffee Press Sweaters for Woods on Pender (Pender Island, BC, Canada) . The sweaters will be dressing the coffee presses (and keeping coffee warm) in the accommodation units at the newest resort on the island. 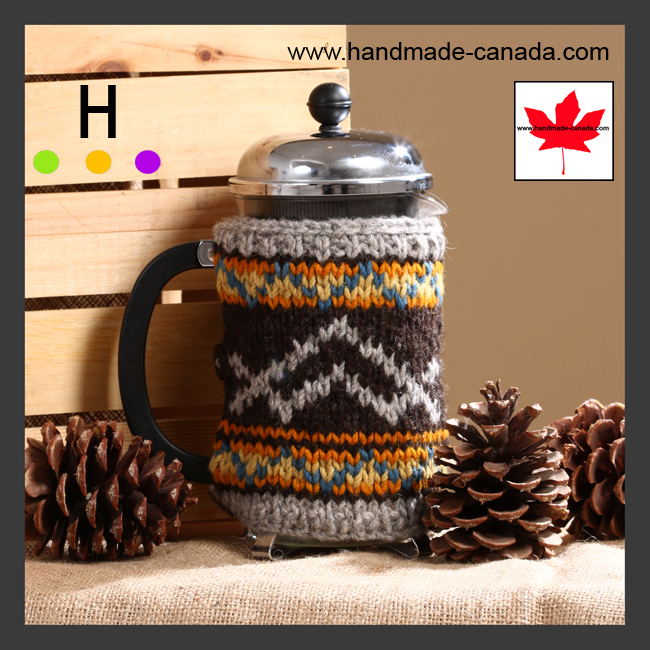 Each Coffee Press Sweater is made of 100% Canadian produced wool that is milled in Alberta. The wool is hand-dyed in micro batches in natural dyes that is crafted by hand. In keeping with the resort’s colors, the items feature colors created with marigold, chamomile, pomegranate, turmeric and indigo. The Coffee Press Sweaters are knit by hand and proudly display the resort’s logo in the center band . In addition to creating custom Coffee Press Sweaters for boutiques and the hospitality industry, Debra is always thrilled to sell her handmade items to individuals. If you are interested in a Coffee Press Sweater Debra can be contacted through her website www.debra-hunter.com. 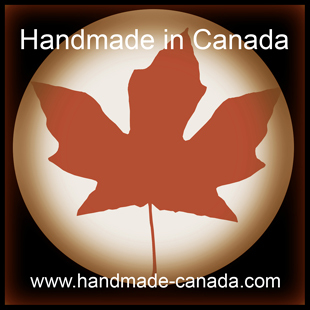 www.handmade-canada.com , is a brand new site for Canadian artists, artisans, writers, musicians and growers. 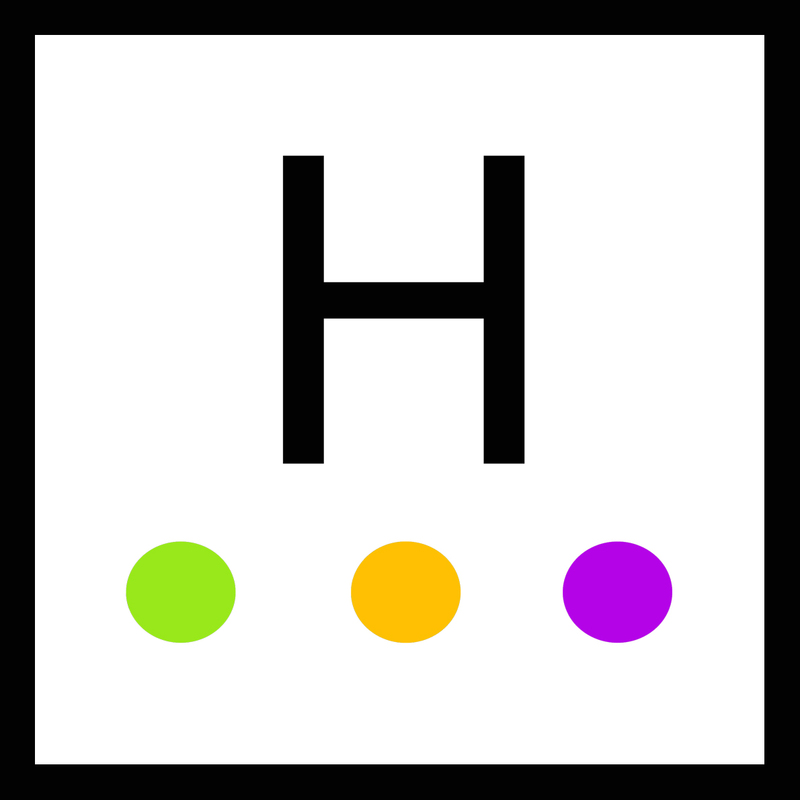 If you are a Canadian maker, please take a look at our website as we are currently looking for new makers to join our project.